Abalone have been used for thousands of years by Native Americans for traditional foods and in ceremony and with spiritual people who use the four elements in healing; earth, air, water and fire. In this class we will combine natural materials and local plants and weave around a medium/large size abalone shell, while using traditional Native American weaving techniques. Join in exploring these traditions while weaving your covered shell. 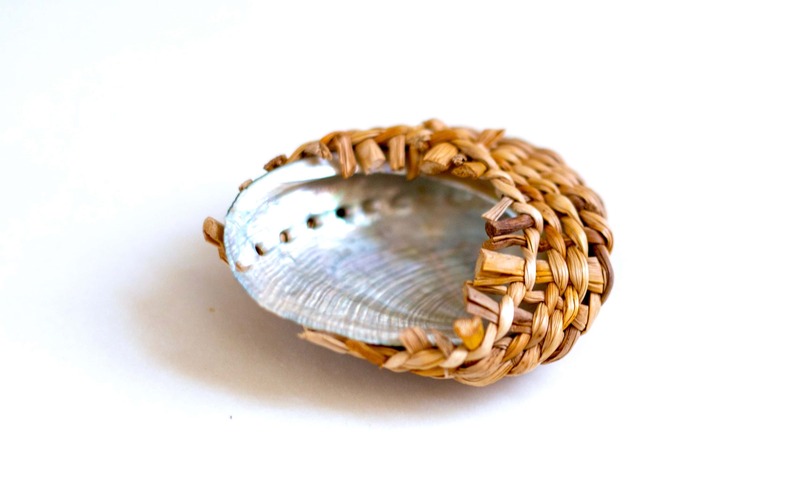 Many people use covered abalone shells as a smudge bowls or even for holding their favorite jewelry. Students will learn different weaving methods, traditional rim and finishing techniques, and go home with a beautiful piece of artwork.